thesupergreat: Supergreat Holiday Cards Are Here! Supergreat Holiday Cards Are Here! But wait, there's MORE! We're featured on the Bust Magazine Website in the vendor spotlight!!! See for yourself here. WOOOOHOOOOO! Hope to see you December 2nd! And really hope to get back on track with updating my blog. I still have to tell you about my recent trip of a lifetime to Italy (Pasta! My Italian boyfriend Luciano! Driving in Rome!). And there's lots more to tell! See you soon, I promise! LOVE these!!! 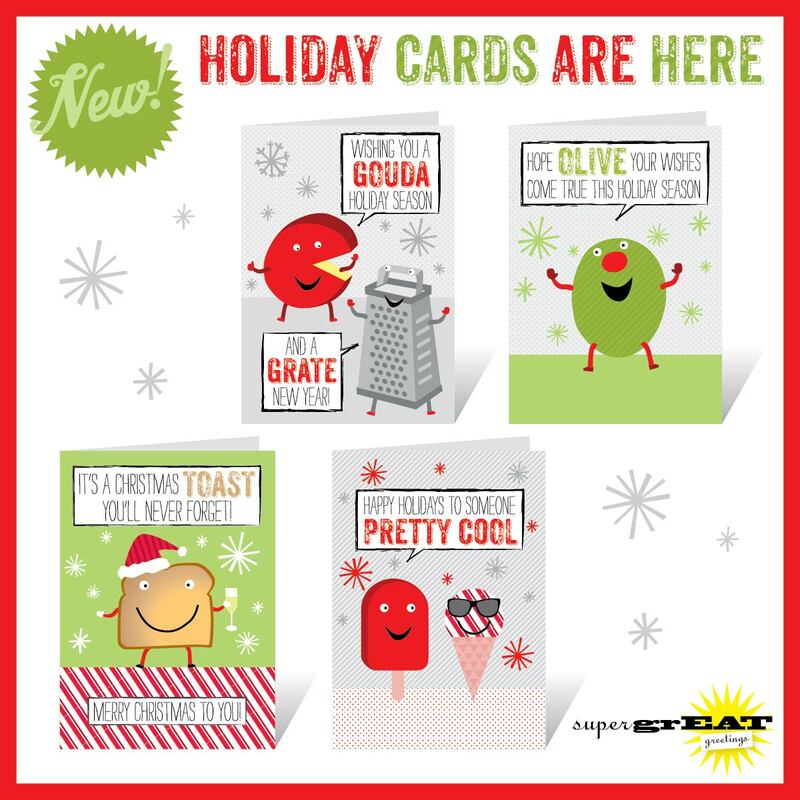 They are the least cheesiest (no pun intended) holiday cards I've ever seen! THANKS LIZ!!! I do think they're pretty cheesy, but I wouldn't BRIE happy any other way :) god, I need to stop myself! Sammy, how can I buy out your inventory if you don't put them online?! Good luck at the fair!! Call and let me know how it goes! !